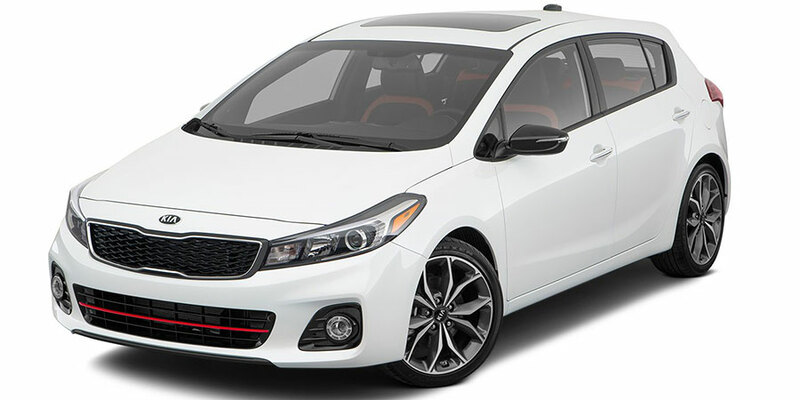 The used Kia Forte5 is especially budget-friendly, but it also offers comfort features and high-quality components to rival more expensive models. When you’re shopping the used market, you’ll find a lot of strong contenders, with impressive crash-test scores and driving dynamics. Basically, this hatchback is the total package. Comfort: Because the latest and greatest Forte5 is available as the mid-grade EX and sporty turbocharged SX models only, you can expect a plush ride. Highlights include dual-zone automatic temperature controls with rear vents, which keep everyone nicely chilled – or warm and cozy – on road trips. Leather upholstery and heated front seats double down on comfort levels, making you feel like you spent big bucks on a luxury model. Technology & Convenience: Timesavers, like navigation and keyless entry and ignition, are indispensable. If your used Kia Forte5 includes the Uvo infotainment system, you’re in luck. Both the touchscreen and voice controls are intuitive, so you can find your way around this technology in no time. Beginning with the 2017 Forte5, you can find Apple CarPlay and Android Auto connectivity, which displays smartphone apps like Maps and Messages on your central touchscreen, keeping you connected with minimal distraction. Safety: The Forte5 comes with all the basics – anti-lock disc brakes, traction, and stability control – to keep you from skidding on slick pavement. But you’ll also find street-savvy technology, like Uvo eServices, an emergency telematics system that sends for help after you’ve been in a wreck or broken down on the side of the road. This latest and greatest generation of hatchbacks also offers a number of driver aids, which can help you avoid an oncoming collision or stay in the proper lane. 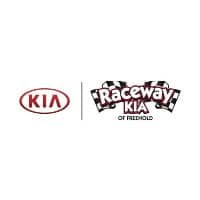 Performance: If your used Kia Forte5 has the turbocharged engine under the hood, you can expect a fun ride to work, with athletic speed and sharp handling. 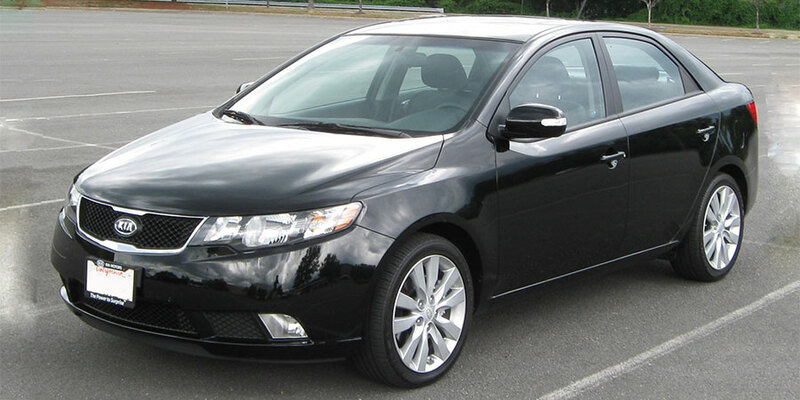 Whatever powertrain you find on the used lot, though, the Forte5 supplies a strong, dependable performance. Comfort: Like the current model, the original Forte5 was also offered as the mid-grade EX and the top-trim, sport SX. That means that, in addition to a roomy cabin, used models provide a range of luxuries. You can find everything from leather upholstery to heated seats to a sunroof, all of which add a little style to your ride. Technology & Convenience: Smartphone-friendly technology, like a Bluetooth phone connection and USB audio jacks, help you make calls and stream music. Safety: Every Forte5 from this generation gets four-wheel antilock brakes and traction and stability control, putting you firmly in control as you coast through stormy streets. Performance: If you prefer more comfort and less athleticism, the Forte5 EX is the right choice. This model is smooth and controlled in any setting. However, you’re looking for extra sportiness, count yourself lucky to find a Forte5 SX on the used lot. This energetic model is fun to drive, thanks to its sport-tuned handling and larger engine. Sporty, stylish drivers on a budget can’t do better than the used Kia Forte5. This street-smart hatchback is the total package. Various powertrains offer everything from a smooth, comfortable ride to a quick, sharp performance. Inside, the Forte5 is decked out in luxury, with plenty of space for your next road trip and upscale options like leather upholstery to make you feel like a VIP on your way to work. If you’re especially connected to your smartphone, you’ll find increasingly savvy infotainment features in second-generation used models. Starting in 2017, the Forte5 offered Apple CarPlay and Android Auto, which, with the push of a button on the steering wheel, let you use your phone’s sophisticated voice controls. You can ask the system to read your text messages aloud or find the quickest route home – all without taking your eyes away from the road.